Remodeling your home is one of the best ways to improve your quality living, while at the same time boosting the value of your property. 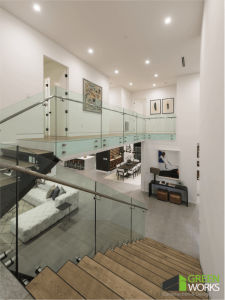 Of course, the changes made to your home, as well as the remodeling contractors you decide to hire in Los Angeles will greatly affect the outcome of your project. There are various ways you can improve the interior of your home. Most homeowners opt for kitchen remodeling and bathroom remodeling when attempting to make upgrades to their property. However, there are more subtle, but equally effective ways to enhance your home’s interior. The interior remodeling services we offer at Greenworks Construction can be used in a number of ways. Here’s an overview of the interior remodeling projects we’ve worked on. There are many reasons why homeowners in Los Angeles should entrust their interior remodeling to the general contractors at Greenworks Construction. For one, all of our professionals are licensed, bonded and insured (with up to $2 million in coverage). We aim to please our customers by providing quality work, fast completion and daily cleanup. When you hire our Los Angeles company, you gain access to professional designers, who utilize high-end 3D design software to bring your ideas to life. Once we have captured the essence of your vision, we will provide a detailed proposal. All costs and fees are stated upfront, so there are no unwarranted surprises. Upgrade your fireplace with a beautiful new stone, wood or tile mantle. It can be included in a full-out renovation or implemented in a quick and easy solo remodel. Turn your hearth into a focal point guests will gush over. This can be a new room designated for all of your laundry needs, or you can get more creative with a laundry area inside of your bathroom (this can work for bathrooms large and small). Entertaining guests at dinner parties in your home means enjoying small talk over delicious food and wine. What better way to showcase your great taste in spirits and design than with a wine rack? You can also have a wine cellar built in your basement. Insufficient storage space is a common problem in the kitchen. With a newly built pantry, you can stow away extra dishes, cleaning supplies and/or food. We’ll make sure your pantry is done with functionality and flare. Your floors should be the center of attention for all the right reasons. 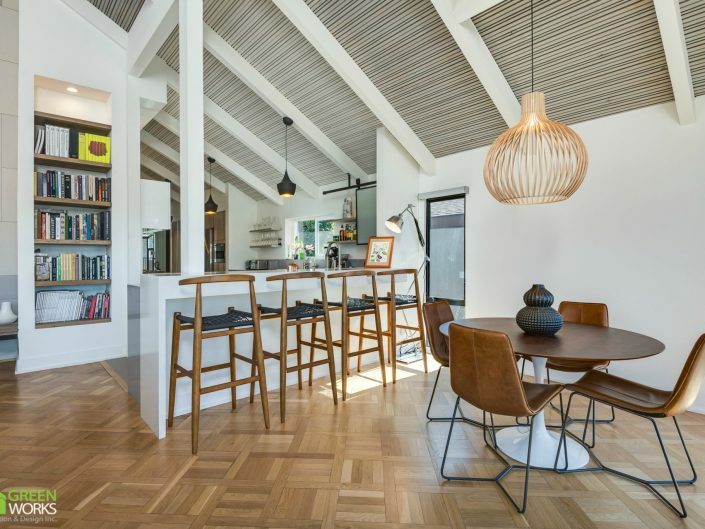 There are a variety of materials to choose from that can bring out the best in your home design, including gorgeous light, dark and cherry hardwood floors. These can be placed throughout your home, in bedrooms, bathrooms, kitchens and hallways. It’s the ideal solution for creating more storage space in the places it’s needed most. Need more room for your collection of shoes, clothes or handbags? Walk-in closets can be completely designed to suit your needs (as long space allows). Wall niches can be installed to provide an element of style and sophistication. Showcase your fine collection of books, statues or use it to prop up your china. You can find these being added in all areas of the home.